If you are ready to start a home modeling project this autumn, you should think about taking a room and making it work smarter for you. Many homeowners look to a new home builder in northern VA for ideas of where to start, and the frequent answer is the kitchen. Transforming your kitchen makes sense because it is where the action is, the one room that is used by the family at least once a day. Before you start your project, consider these four popular trends for kitchen remodeling in northern VA. The clean, simple lines of shaker-style cabinets are making a comeback in kitchens. With quality wood and plain finishes, this style of cabinetry brings warmth to your work space. Cabinets work well with a clear coat to focus on the natural beauty of the wood, yet are also fantastic in white. Either way, they are a great element to complement any style. Speaking of cabinetry, what if you updated yours with custom touches to make your life easier? Easy-glide drawers, pull-out shelving, knife storage, and other unique features can be incorporated into your design to give you the conveniences you want when you don that apron and get cooking. A new home builder in northern VA can make great suggestions of available options. Stark contrasts of black and white are giving way to a softer, calmer color palette that incorporates natural materials. Natural woods for floors and cabinets, newer quartz countertops, and a blush of gray, beige or blue can make your kitchen a soothing oasis from the chaos of the day. With so many distinctive choices, many people are opting to combine styles to suit their particular taste. Transitional kitchens can fit the bill, taking cues from both traditional design and modern features for a one-of-a-kind space to call your own. 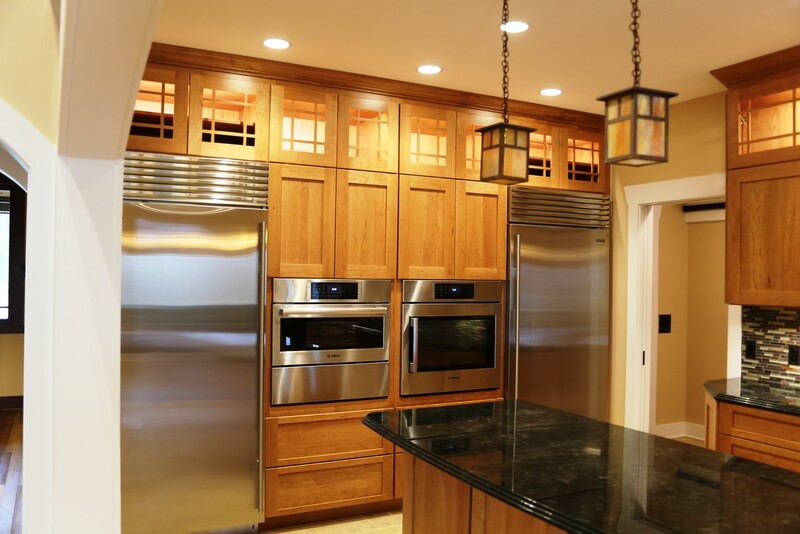 Talking to a new home builder in northern VA like the design experts at Craftsman Construction can help you create a usable kitchen that is uniquely yours. Call us at (540) 908-2030 for a consultation.